Apologies for the recipe’s name, but the seven year old insisted, as he wolfed down an experimental portion of this super-easy, truly nutritious dessert! 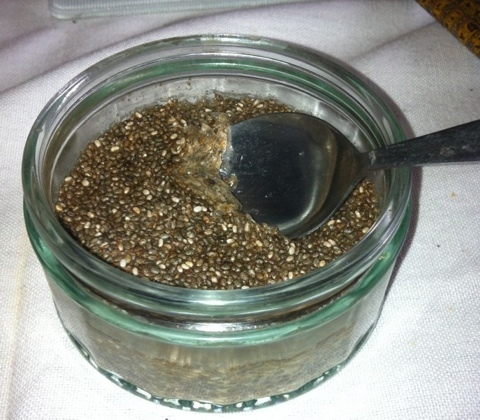 Raw chia pudding is definitely on our permanent menu now. It takes just minutes to make and is packed with superfood treats. Got your own favourite chia recipes? It would be great to hear from you, via the comments.